Mr Aaron Minney is Head of Retirement Income Research at Challenger Limited, which is a leading provider of annuities and other retirement income products. 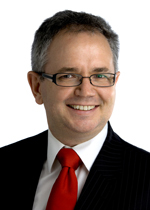 He is a prominent analyst of superannuation in Australia. Last Updated: 2014-01-10 13:10:59 by Drew Nixon.